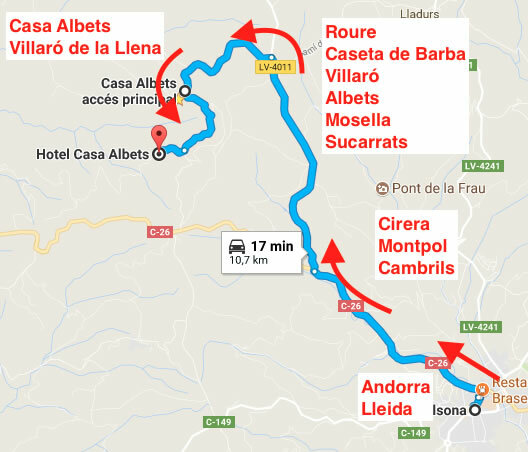 How to find Casa Albets? It can be reached by bus to Solsona and by taxi from the bus station to the hotel. See schedules in Alsa.